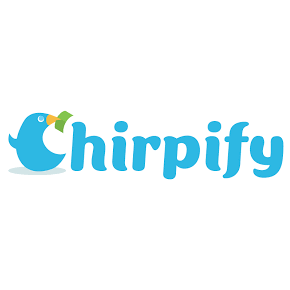 Leveraging social as the primary point of conversion for multi-channel marketing campaigns, Chirpify converts social actions into rewards, for the purpose of driving acquisition, engagement and customer lifetime value. Chirpify identifies as "the Industry Leading Social Loyalty Platform" and was named Cool Vendor 2016 by Gartner. Chirpify converts social actions into loyalty rewards, including rewarding your own employees for brand advocacy on their social networks. The Chirpify platform collects insights on consumer social identity, demographics, and other first party data, appending your internal CRM in order to enrich the CRM customer profiles. The engaging, social-driven loyalty program helps boost acquisition and maintain customer lifetime value.